The Palestinians reacted angrily as what is widely seen as the most right-wing government in Israeli history presses ahead with settlement expansion in defiance of international concern. 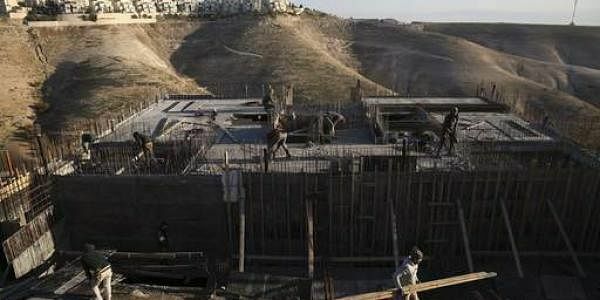 JERUSALEM: The United States warned Friday that "unrestrained" building of settler homes could hinder peace, after Israel approved a new settlement in the occupied West Bank for the first time in a quarter century. US President Donald Trump's administration refrained from criticising the new settlement, which was approved by the Israeli security cabinet late Thursday, but warned that further expansion could undermine peace efforts. "While the existence of settlements is not in itself an impediment to peace, further unrestrained settlement activity does not help advance peace," a White House official said. "Going forward... the Israeli government has made clear that Israel's intent is to adopt a policy regarding settlement activity that takes President Trump's concerns into consideration." A spokesman for UN chief Antonio Guterres expressed "disappointment and alarm" at the Israeli announcement. "The secretary general has consistently stressed that there is no Plan B for Israelis and Palestinians to live together in peace and security. He condemns all unilateral actions that, like the present one, threaten peace and undermine the two-state solution," Stephane Dujarric said in a statement. Senior Palestinian official Saeb Erekat said Israel "continues to destroy the prospects of peace." He also criticised the UN, European Union and United States for not doing enough to punish Israel for continuing to expand settlements in the West Bank. "Peace is not going to be achieved by tolerating such crimes," he said. More than 400,000 Israelis live in existing settlements considered illegal under international law. Agriculture minister Uri Ariel also welcomed the announcement, saying it would allow the "development of Judaea and Samaria," using a term right-wing Israelis apply to the West Bank. Peace Now said the new settlement's location deep in the West Bank was "strategic for the fragmentation of the West Bank," which Palestinians see as the bulk of their future state. But since Trump took office in January, settler leaders have been emboldened by his far less critical stance and Israel has since announced more than 5,500 new homes in existing settlements.